What is Windows Photo Gallery? Some of you may be searching for the Windows picture replacement, such as IrfanView and XnView for the live photo gallery on Windows 10. As Microsoft site officially announced that the Windows Essentials suite is no longer supported until January 2017. While for people would like to use the Live Photo Gallery from Microsoft rather than the third-party replacements, they will go for all troubles to download and then install Windows Essentials on their PC. This post aims at teaching how to gain it on Windows 10. Replacing the Windows photo viewer, which was the Fax Viewer and Windows Picture Replacement, the Windows Photo Gallery is also called Live Photo Gallery on Windows 10. 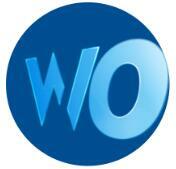 It is mainly used for picture edition, images optimization, and photos sharing. What’s more, the Windows Live photo gallery is a part of Windows Essentials, which also includes Windows Movie Maker, Windows Live Writer, Windows Live Family Safety and OneDrive desktop app. As the updating of the Windows systems, Microsoft has also released some new features for this photo tool, such as Photo management, photo, and video export, and searching and tagging abilities for digital photos. A powerful photo and image managing tool, is it not? Want to download the Windows Photo Gallery for Windows 10? Though it is expired in 2017, it is this article would help you download and then use this photo gallery on Windows 10. If you hope to use the Microsoft Live photo gallery to resize, reshape the pictures or images, you need to get it back for Windows systems. 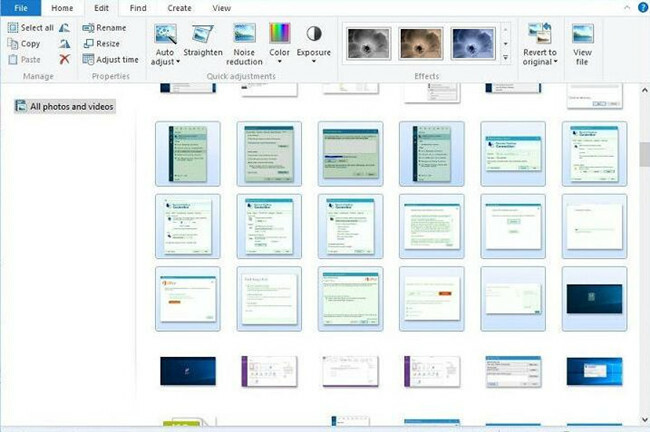 However, it is known that the Windows photo gallery is one of the sections of Windows Essentials, thus, in fact, to download the photo gallery to the computer is to get the Microsoft Windows Essentials. 1. Download Windows Essentials from here. 2. Find out and double click to open the downloaded file — wlsetup-all.exe in the folder you have saved. 3. 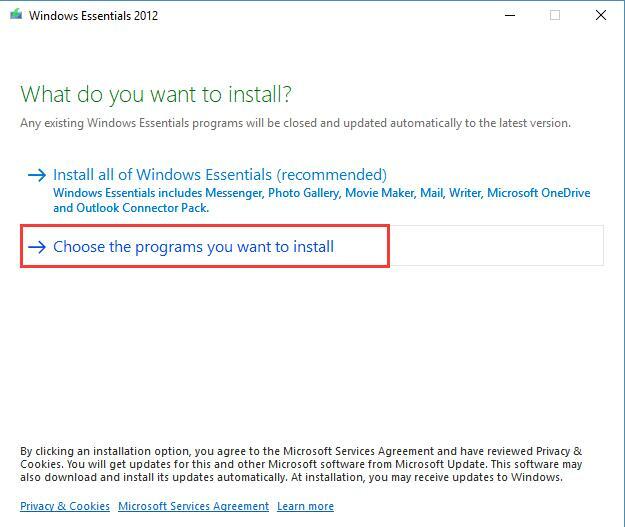 Select option 2: Choose the programs you want to install. 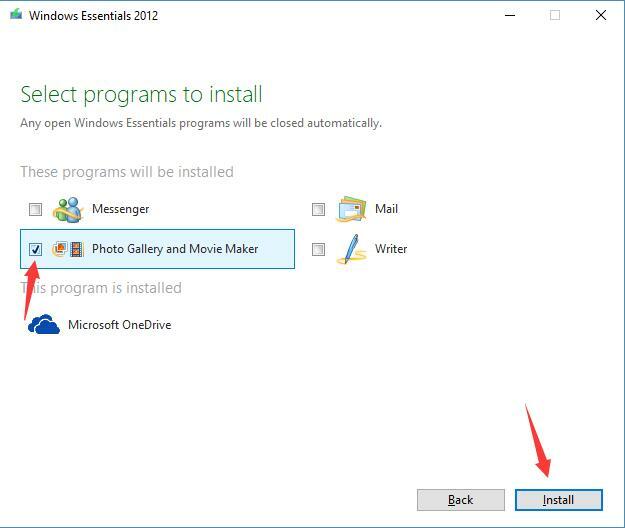 Here if you click the first choice: Install all of the Windows Essentials, you will get all the parts in Windows Essential, such as Messengers, Photo Gallery and Mail. 4. Tick the box of Photo Gallery and Movie Maker and then click Install. Once you find other choices are ticked, uncheck them, except Photo Gallery and Movie Maker. 5. 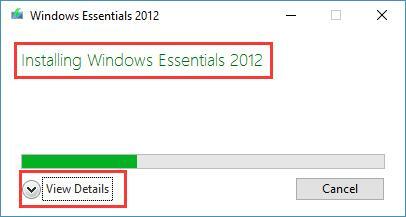 Windows is Installing Windows Essentials 2012. You can hit View Details to see the installing speed. 6. As long as the installation completed, Close the installing interface. In the process of downloading the Windows Essentials in order to get the Windows Live Photo Gallery, it is quite normal that you run into some unknown errors, in this case, try to install it again. Now, at that moment, you will have successfully downloaded and installed the Windows photo gallery on Windows 10. You are able to see the various tags, thumbnails, and captions in the Live photo gallery. Go ahead to use it as you wish.